So fonts_FRA.SwfMovie has all characters I need. But Frutiger LT Std 57 Cn font is same regardless to language. I need to add extra characters for it. Or maybe adding entire new font for this? 1 - Replace Adobe font with Adobe font inside fonts_FRA. 2 - Add extra characters for Frutiger. Actually I managed to get first step done. Can anyone help me with second? If its worked out, I will be very glad if you tell me how you did it. Thanks for interest. Hello. I had similar issue with Deadpool translation. Your file has to be smaller than original. 3. 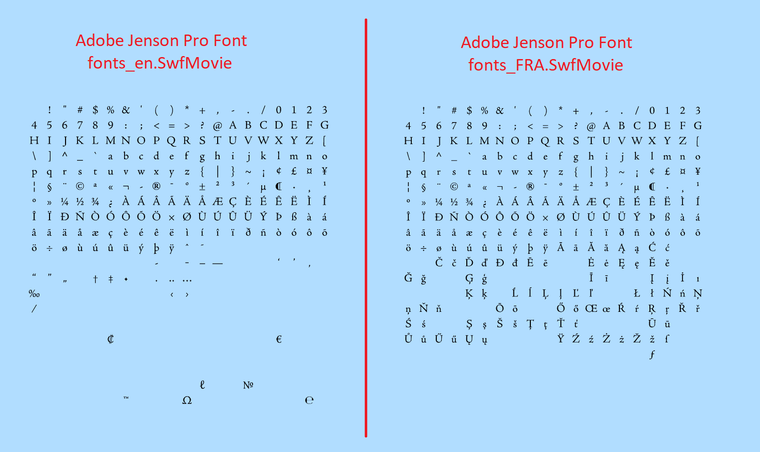 Copy header and footer from original swfmovie file and paste it to your saved SWF/GFX file. You can use Hex Workshop for that. You have to remember to also fill missing space with zeroes at this point (after SWF/GFX data and before footer). 4. 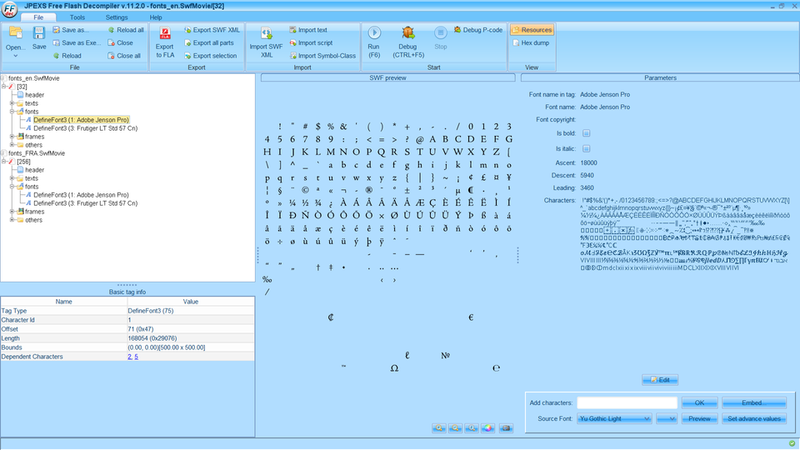 Change filename to original filename and pack it to UPK using Gildor tools. Could you please explain to me how to do it this step? How long header and footer are in .SwfMovie? Thanks for interest btw. Could you please explain to me how to do it this step? Yes, of course. Here is package with screenshots, I hope it helps. How long header and footer are in .SwfMovie? For header it's easy, you just take everything that is before "GFX" magic and copy it. For footer, you have to compare saved GFX/SWF and swfmovie to get the length. You can use option Tools > Compare > Compare Files in Hex Workshop.